In the arena of Search Marketing, there are two major operations in SEO – keyword research for on-page optimization and back linking for off-page optimization. After the algorithmic change in Google with Hammingbird (HB) edition, long tail keyword search is becoming very important in SEO. Because the semantic algorithm in HB is associated with the nature of searches with long tail keywords. 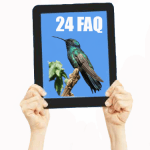 You might know while launching Google Hummingbird, Google started emphasizing on the mobile or smartphone devices, whereas search users would like to input long content to find the best result through Google search engine. Thus, long tail keywords became a big part of the reason to get the change in the Google algorithm accordingly. 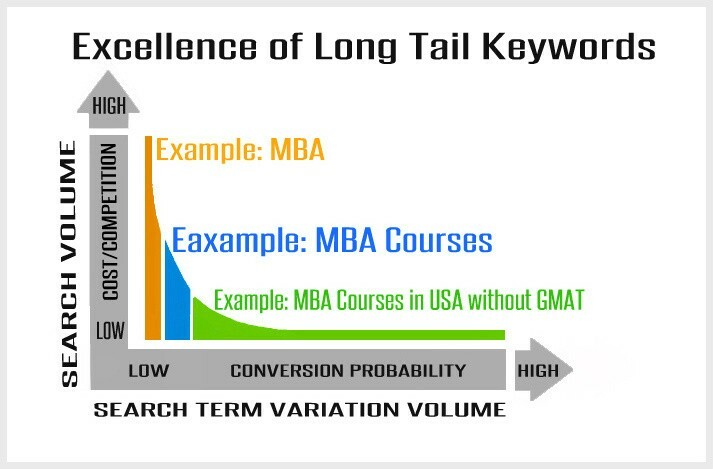 Which is why long tail keywords are very important in Keyword research. How long the long-tail keywords? Three and more than three words phrases are long tail keywords. Their length is associated with the complete meaning of a searchable input. It is specific to the product or service name or issue. A customer or audience used to make it longer until it gets stopped from completing the thing’s name and they do it for getting a satisfactory reply so that they could buy it or know it completely. They’d like to do specific searches instead of generic searches because they tend to make a buying decision on the due product or service. In this post, I would like to help you understand how important is the Long Tail Keywords. And you could understand the high value of ranking at a low cost of long tail keywords. 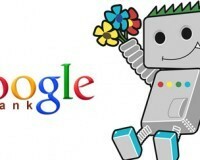 It is obviously a prior scope to connect with a many more people by dint of long tail keywords than the generic keyword. Because it has an extra power to get indexed in the Google knowledge graph. Whereas it deserves more indexes, so it will get more connection as well. Suppose: A prospect is looking for a significant college or university in the USA without GMAT to learn MBA. While he searches using a generic keyword “MBA” he finds lots of links, but difficult to find out the significant one. 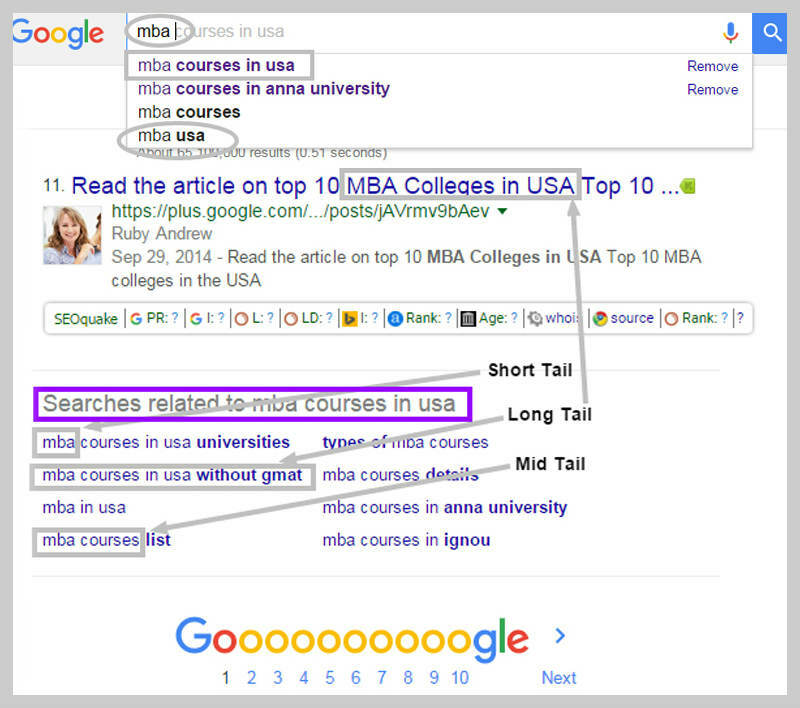 While he searches using “MBA courses in the USA” or more specifically using a search term “MBA courses in the USA without GMAT” then he finds his accurate result what he looks for. That means long tail phrasal words are more capable connecting more prospect. Long Tail Keyword Search is so much potential due to lower competitive characteristics. Why is competition lower? Because long tail phrasal words are specific, determined and authentic according to the product or service name so that people could get received searching their name specifically. In some of the cases they might be defined as the special name or brand name as well. While there is a product that runs under a special name, generate product awareness and building authority, then we might define its product branding. Long tail phrasal keywords could help you better ease to build up a new product awareness than the product that runs under a generic name. Suppose, if a shoe runs with a generic name “shoe”, it has very few chances to get enough conversion. But at the initial stage of a new “shoe” might get huge conversion while it runs under a specific name, such as “Citizen Shoe in New Virgin”. In this regard, the site should be defined with this specific niche that could help to build the branding. Long tail keyword Search has significant search coverage or impression. In the integrated impression or percentage of traffic coverage, 70%- a higher percent of search traffic occupies by Longtail Keywords, whereas the rest of the 30% lead by a fat head and chunky middle keywords (According to Moz Data). In fact, the true power of long-tail keywords happens in all together. The long-tail keywords may be separately powerless, but integrally they work like a super cell for genuine traffic. Long-tail keywords have lower competition, limited people bid on them to drive up their costs – that is why CPC will be rated relatively low and cheap. So, Long-tail keywords are cost effective for the same ad ranking, or the same cost for a higher ad ranking. If you search using keywords # 1 or 2, you could find the comparatively lower CTR. As more as the word you increase the CTR will be increased. So, while a search is made by using long tail words, CTR becomes significantly higher. Because Long Tail Keywords have low competition that increases chances of click on your ads by someone. If you search with 1 or two words, ad ranking will be appearing very low, since 3 to more words make it happen higher ranks. So, long tail keywords are the same price for higher ads ranking or cheaper for same ads ranking. In this context, average position stands cost-effective and richer than generic keyword usage. Using long tail keywords, Cost per Acquisition (CPA) is cheaper than the generic or short tail words. Because conversion from long-tail keywords has a lower cost per acquisition and profitable. Because of low competition and high CTR, pages ultimately obtain higher rank by dint of comprehensive long tail keywords integration. Fortunately, most of the companies do not take this chance of long tail phrases white they formulate an Adwords campaign. And in a poor competitive atmosphere easily supports to rank higher. The higher Click Through Rates (CTR) for long tail keywords ensures higher sales conversion rates (CR). But it is pretty hard to ensure higher CTR if the four or more words of phrasal keywords are not integrated properly with the natural content that fascinates the audience. It depends upon comprehensive keyword research as well. So, right long tail keywords are fundamental things to happen significantly higher conversion rates. Its obvious that integrated and natural long tail keywords are enough to produce a better return on investment(ROI) than any skilled generic keywords. As more as long, the Keywords conversion probability increases accordingly. Comprehensive long-tail keywords take low costs and low competition – only the other side a better generic fat head keyword takes enough rich costs for even earning the same returns. In terms of profit, long tail keywords are much more profitable than the generic keyword. A long tail keyword integrally shows a crystal clear message which is believed to a semantic algorithm of Google Hummingbird as well as a common audience too. Long tail focuses a clear meaning of its presence whereas a generic word can’t do it. So, Google loves long tail keywords more than the generic fat head keyword(s). Long tail keyword Search has a merit or demerits that it takes a longer time to sustain in the knowledge graph for traffic rank and give returns if your site is new. Its beneficial used to run for a long after happening, it’s rank further. As Google Hummingbird the usually find special semantic resources in the long tail keywords, they index the content in the knowledge graph using the presence of keyword in the content body, meta description, alt image name, edited URL, title tag and so on. Thus, long tail keywords get much more chance to be indexed than the single word keyword. One or two phrasal words never target the goal to fulfill the outreach. Suppose, the prospect might be seeking an easy admission in a reliable university for an MBA. But MBA or ‘MBA Courses’ can’t reach out the target institute. Then, while he uses the search term “MBA Courses in USA without GMAT” and find the possible places where he could get admission easily even without GMAT obstacle. So, highly specific multi-word phrases can able to obtain targeting goal. Eventually, there are two major merits we find from the article are (1) Deeply specific long tail phrases are very easier to rank well than the single or double word more generic keywords. (2) Google likes multi-words long tail keyword search which will generate phrasal words integrally outstanding the substantial and natural contents. So, target your goal within the valued content creation that how much specifically you could integrate your product and keywords so that your conversion rate goes on right manners for better profit. And, as the keywords are the fundamental part of the site’s On-page SEO, you never can ignore to use a best Keyword Research Tool. Because a chance of investment doesn’t come twice equally. We recommend “Power Suggest Pro” as the proven tools. Get a short tour here for details.